Fees for Flute Repair and what Flute Repair entails. 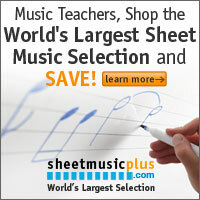 same fees for work on a student flute and a professional flute." · Student Model: All plated, not hand made, closed hole. Examples: Selmer Bundy, Armstrong 104, Artley 18-0, Gemeinhardt 2SP or simple model 3, Yamaha models 225, 221, 265, or 285. Pearl 501. 2 & 3 SH, Yamaha 300 series, Pearl 661 RE, RB and RBE - some may offer French Arms. · Advanced: Silver body, plated keys. French Arms an option. Gemeinhardt 2S and 3S, Armstrong 80, Yamaha 481, Pearl 665, 761 and 765 RE, RB and RBE. 795 RE, RB and RBE, Prima Sankyo Silversonic. · Professional: All hand made, most are with French arms; soldered tone holes are an option. Mechanism is all silver. Haynes, Powell, Brannen, Muramatsu DN, Prima Sankyo Artist and up, Yamaha 700 series, and up, Pearl Cantabile, Opera and Maesta. 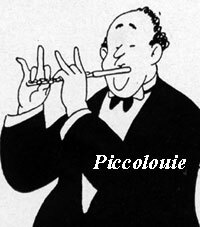 NOTE: Most professional flutes offer pinless mechanisms on some of their flutes. Pearl flutes from model 501 up to their best handmade flutes ONLY offer PINLESS. · C & R: Basic clean & oil as needed, with coverage , regulation and lost motion adjustments, setting of key ventings and balancing spring tension, check of mechanism for freedom of action and for excess side play and slop. Reseating of pads in most cases. Pads corks, felts and springs replaced as needed [extra charge]. · C & R with a full re-shim of pads: As above but with a full removal of each pad and using partial shims to make the pad as flat and level as possible. [Almost as good as a full repad. My nickname for this is an "UNDERHAUL". · Full re-pad: Replace all pads, Shim flat, adjust coverage and regulate and remove lost motion etc. as above. · Overhaul: As above, but all new corks and felts as well. Mechanism broken down cleaned out and polished, as are grommets [for open hole pads] and pad screws and [metal] washers. · Straubingerizing: Special pads using modern materials and techniques; involving stabilizers, adjusting key configuration to precise standards, and perfecting tone hole surfaces. Many manufacturers such as Powell and Brannen install these pads in all their new flutes. To schedule an appointment, see telephone, address & email above.